» Events » Winter Haven » Project E.A.G.L.E. Project E.A.G.L.E. for 2019 is Saturday, April 27, 2019. Kick off is at Lake Shipp Park to pick up supplies at 8:00, Lunch served at 12:00 noon with activities, band and socializing to 2:00 pm. All volunteers are welcome as we will be removing litter to keep our lakes clean and beautiful! If you have any questions, please call 863-206-4113. Project E.A.G.L.E. “Enhancing A Great Living Environment” is a half-day volunteer clean-up focusing on Winter Haven area lakes on Saturday, April 27, 2019! 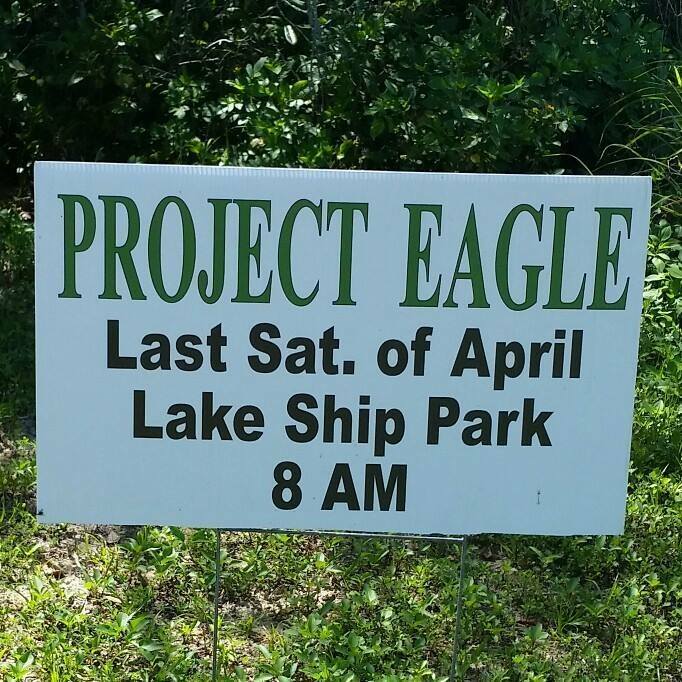 Project E.A.G.L.E (Enhancing A Great Living Environment) is a volunteer litter and debris cleanup converging on Winter Haven area lakes from 8:00 am to 2:00 pm. A free tee-shirt, clean up supplies (gloves, bags, grapplers if available), and lunch at Noon are provided to registered volunteers. After lunch, numerous exhibits and displays of environmental and educational information is available. Entertainment is live band/music, a ski show and children activities (face painting, rock painting) and more!